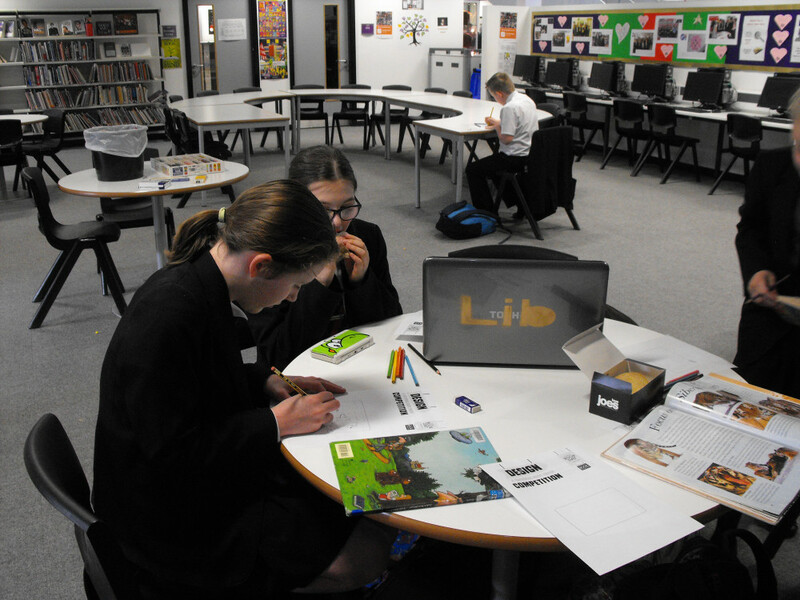 We celebrated World Book Day in the Library this year by taking part in the National Book Tokens Competition in the Library at lunchtime. Students created their own book token around a book related theme and were joined by students from the reading group at Archers Brook School, Chester. Thanks to Caroline Cocklin, from Asda for organising a fantastic first place prize of a £20 voucher for Asda. The General Manager at Asda chose the winner – well done to Faith in Year 7. All competition entries have been displayed on the community noticeboards in Asda, as well as in the Academy Library. Caroline will be coming into Assembly to award Faith with her prize shortly. Thanks also go to Mrs Fox, our Admin Manager, for judging the competition entries from Archers Brook. Mrs Fox chose Alex’s book token as the winning book token. Alex has chosen the Percy Jackson series of books as his prize. Well done to Faith and Alex.